The driving force of my career has been to find new and better ways to improve the quality of life, for the greatest number of people, in the most reliable way. I teach wellness, and empowerment. And it's been great. I love helping people heal and grow. I've enjoyed 34 years as a natural health advocate, learning and working with the best modalities and products available. I've also had a long career as a success trainer and business coach, as a network marketing and field communication consultant, and I've built large and fast-growing national organizations. I've served as a corporate officer for two companies and was the corporate spokesman, trainer, and in-house marketing consultant for a $100 million nutritional company. It has been my great fortune to work with some of the most influential leaders, and I paid attention. I've worked with doctors and healthcare practitioners on incorporating nutritional supplements into their practice, and I've counseled and coached thousands of people, individually and in groups, on optimal health, weight-control, financial freedom, and personal success. Over the years I've enjoyed hosting thousands of national and international teleconferences, webinars, and training events. I created FeelGoodAgain.com in 1996; a website that introduced people to simple changes for natural, holistic health. And I'm very proud that my network marketing Speed-Duplication™ trainings have helped tens of thousands of people to be successful in home-based businesses. I'm driven by results and I love to see the positive changes in the people I work with. I'm blessed to have the ability to help people get what they want. It's a great way to spend your life. Solutions. Happiness. Listening, Learning, Teaching, and Empowerment. Expertise in natural health modalities; especially nutrition, anti-aging, weight control, personal growth modalities, Law of Attraction, EFT, Network Marketing, Field Communication, Teleseminar and Webinar Host, Narrator. And Rock'n Roll. I have studied alternative ideas since I was a teenager. When I was 28 I embraced an alternative business model marketing alternative health. It was an excellent decision and it took me to places and understandings I may not have found otherwise. I want to share with you some of the impactful moments and the special people that changed my course and shared my achievements with me. They are among the top contributors to our industry over the last 40 years. And I had the good fortune to be a part of that adventure. 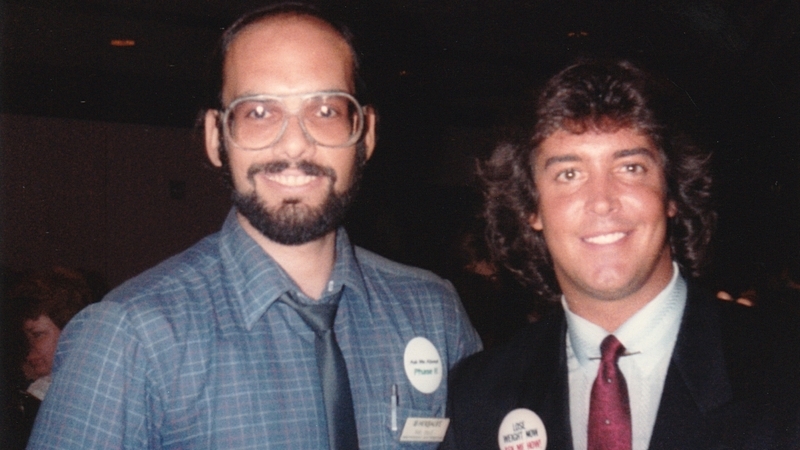 My time with Herbalife from 1984-1989 was life-changing for me. And I had the chance to be trained by Mark Hughes, the founder of Herbalife and a man who had a tremendous impact on the health and nutrition industry. Herbalife was my first experience in the nutritional network marketing industry. Within eight months I built the largest distributorship in north eastern Pennsylvania and was producing one of the largest group volumes in the country. I learned how hungry people are for good health information, and for better ways to look and feel better. 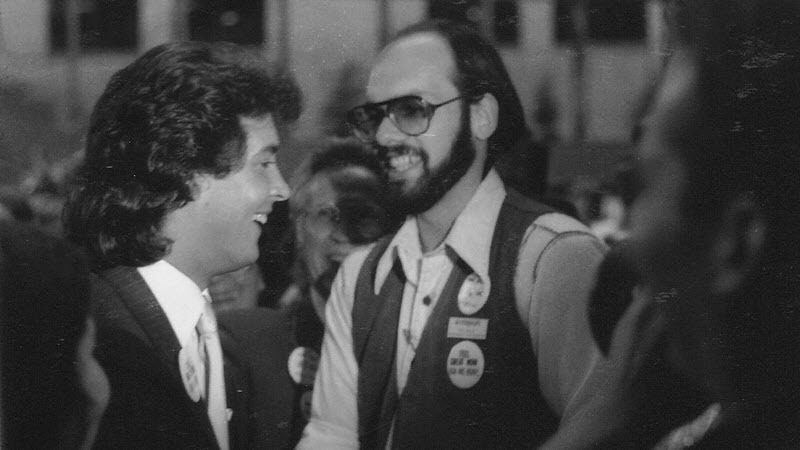 1985: With Mark Hughes at The Senate Sub-Committee Hearing. This newspaper photo was taken at the Senate Sub-Committee Hearing on Weight Loss Products in May, 1985, after a month-long media smear campaign. I was brand new in the industry and was launched immediately into an understanding of the influence of the pharmaceutical companies and the American Medical Association on our regulatory agencies and the media. The medical establishment has a long history of supressing any alternatives to their pharmaceutical drugs and surgeries. They focusing on illness and I focus on wellness. Herbalife nutritional products were proven to be safe and effective at the Hearing and Mark and his legal team came out of it with arms raised in victory. So we were all shocked the next morning when CNN and the newspapers continued to smear the company. This experience set the course of my career. I felt the need to learn as much as I could about nutritional supplements, alternative health for people, and to learn best practices for companies in order to protect themselves from unfair attacks. I have often acted as an advisor to companies on compliance issues, and that led to some more direct confrontations with regulatory actions. I believe health freedom is the right of every person, and access to proven alternatives needs to be protected vigorously. the vibrant industry that exists today. that allowed me to help our industry grow and help people to have a better quality of life. As it became clear to our industry that Herbalife was not going to be the driving force it once was, many new companies popped up to fill the void. And they all promoted themselves as the next Herbalife. And I was getting offers to help launch them. Three of the top ten Herbalife distributors broke away and created Omnitrition International in 1989. I was ready to make the move too and worked my way immediately to the Founders Top 20 Team. I didn't stay with Omnitrition very long, they didn't meet my standards, but my time there helped change the whole industry. My team perfected the opportunity conference call for recruiting new distributors. We established the format and made it affordable to use as a duplication tool for the masses. Recruiting calls changed the growth of the industry into the 1990's and beyond, replaced today by webinars and Zoom calls. From 1990 until 2005 I host the recruiting calls for some of the fastesst growing network marketing companies. I was called the "Voice of MLM" and over the years since i have been honored to train many thousands of people on the benefits of natural health and network marketing, and showing them how to turn their product results into referrals and residual income. 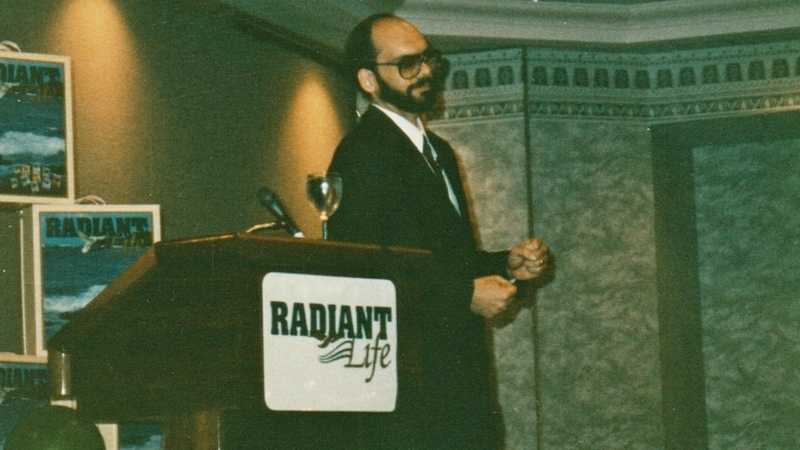 In 1992 I had my first experience as a corporate executive, as VP Sales for Radiant Life. I was able to increase the sales volume of that company 300% within a few months. 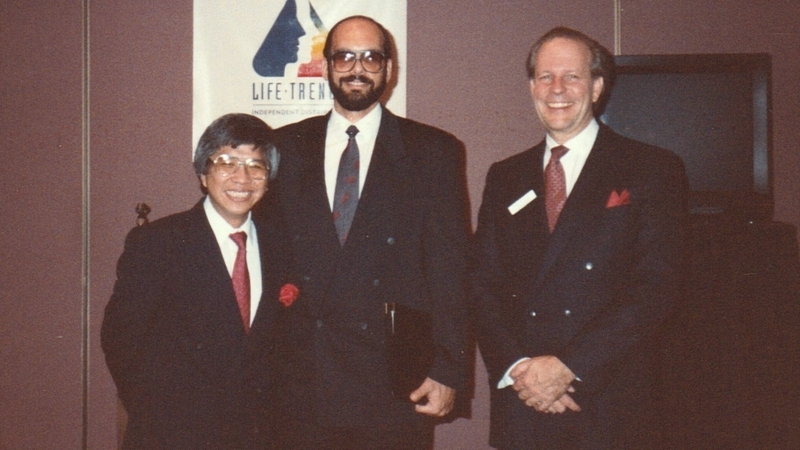 Business Trainer Bobby Pang and former Avon VP Tom Wately. I was invited to help launch LifeTrends; a subsidiary of Nature's Sunshine, a large traditional herbal products company. LifeTrends was a great example of how all of the pieces need to be strong and in place for a nutritionally network marketing compnay to be successful. We had plenty of money, infrastructure support, and experienced coporate leadership. It failed within 6 months. After LifeTrends I was invited to join First Fitness International. I built a built a large national organization that produced about 10% of the company volume for years. And I got to work directly with Lee Causey. Lee is one of the real pioneers of massive growth in MLM. There were three leaders who build the nutritional network marketing industry. And they built it on nutritional weight loss. Lee Causey created the hugely successful Slender Now company in the 1970's, featured as a front page story in the Wall Street Journal. Slender Now was, in many ways, the "father" of Herbalife founded by Mark Hughes, the second leader that created what we have today. The third leader working during those early years came into my life a decade later, as you will see. I worked with some great people at First Fitness. I want to especially mention Rubi Celestine, second from left in the photo above. Rubi was the driving force in my First Fitness organization, a 'firecracker! ", and the meetings I did with Rubi and her team in the greater Wahington D.C. area were among the best, and the most fun. 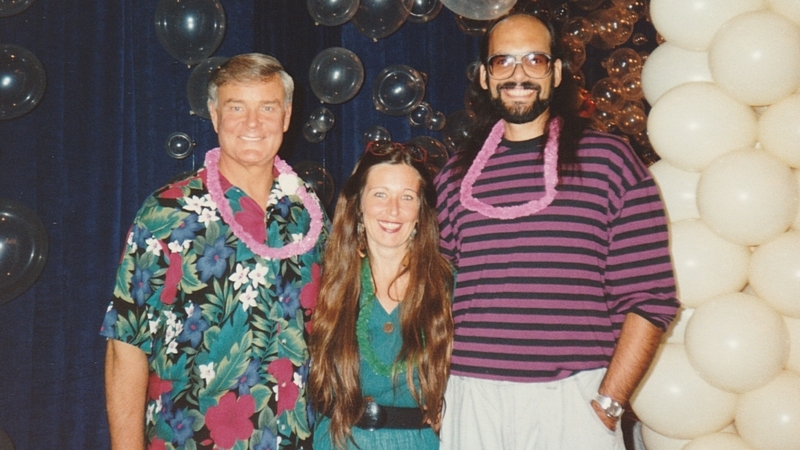 2003: With Seasilver Founder Bela Berkes and CEO Jason Berkes. Here we go, more life-changing experience. Seasilver was a huge success in the early 2000's. As a result they ran into some more of that unfair regulatory excess I was talking about. I was brought onboard hold together the very large field organization of that company and train them to a high perspective. I became Seasilver's in-house marketing consultant, trainer, and spokesman for 18 months. Seasilver was the largest company where I worked at the corporate level and helped to make major decisions. During that time I also spent a week with a senior FTC lawyer, a great guy it turned out. It was enlightening. My time at Seasilver ended unpleasantly; and six months after I resigned the company closed. All in all, the whole thing was a great learning experience for me, and a highlight of my career. I was very ill in 2006 and my research caused me to reach out to Isagenix International. I believed their foundational wellness products would be helpful to me. The company founders Jim and Kathy Coover flew me out to Arizona to meet them and tour the company, and I am forever grateful to them for their kindness then, and since. They are remarkable power couple that having taken our indsutry to new heights and have redefined personal transformation for millions of people around the world. Jim Coover is the third leader who helped to created our industry back in the 1970's-1980's. He built the second massive growth company with a nutrtional weight loss solution, The Cambridge Diet. Jim later became an in-demand industry consultant and pioneer and adaptagenic herbs. Jim is one of the finest people I ever knew. The Coover's and Isagenix helped turn my life back around, as they have done for so many. They've restored quality and results to an industry drowning in its own hype. Isagenix is the future of natural health and anti-aging. There is nothing else like it. As I put this page together. I realize I didn't take enough pictures of the people and events that shaped my career. I expect to tell the full story of my career (it's wild) in a book someday. I've been semi-retired for a decade. I am very tired of that. More than ever now the world needs to know the things I know, and I am anxiously jumping back into action to teach them. I will write that book someday, but not yet. Issues discussed at PhilZulli.com are for educational purposes only. We are not engaged in rendering medical advice or professional medical services. Any medical or other decisions should be made in consultation with your qualified health care provider. Statements about nutritional products on this website have not been evaluated by the Food and Drug Administration. The programs and products described herein are not intended to diagnose, treat, cure, or prevent any disease. Earning levels that appear in this presentation should not be construed as representative of fixed or typical income earned with our business, nor are they intended to represent that others will eventually achieve the same level of income. Income level achievements are dependent upon the individual’s business skills, personal ambition, time, commitment, activity and demographic factors. This website is designed and maintained by Philip J. Zulli, Isagenix Independent Associate, and the founder of BuzzSystem.com and FeelGoodAgain.com. All opinions expressed are mine exclusively and do not necessarily reflect the opinions or policies of any of the companies mentioned on this site.